Hi. 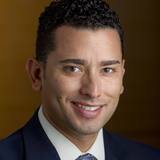 My name is Ricky Biel, principal and founder of Haydel , Biel & Associates. I started my career as a financial adviser in 1999 with American Express Financial Advisors. I spent 10 years there at a great company and learned many things. One of the things as a financial adviser that I was extremely focused at was making sure that each one of my clients had a sound, comprehensive financial plan. We also created customized investment portfolio solutions for our clients. Over my 10 years at American Express, I had several experiences that helped me to be the best advisor I could be, starting with the Y2K tech bubble crash in 2002, also the housing bubble crash in 2008. Because of those events, we learned so much from what happened in the markets. We learned how to protect our clients even better. More importantly, it reassured us that each and every client must have a financial plan. In 2009, myself and my business partner, Chris Haydel, started our own independent advisory firm, where we are a fee-based financial planning firm focusing on helping individuals and families to create customized financial plans and investment portfolio solutions. I started in this business because I wanted to make sure that my family was financially literate and financially successful. Because of that passion, I bring that to my career each and every day. I hope to share that with you. I hope to help you create a sound financial plan and a customized investment solution for you and your family. Thank you. Welcome to the Haydel Biel monthly update. This month I have Chris Haydel, my business partner here at Haydel Biel & Associates, and we're going to answer some of your questions that you filtered through us via email and in some of our client meetings. One of the recent happenings, Chris, that has been big headlines has been the S&P 500 reaching 2,000 for the very first time. What does that mean for us, what does that mean for the markets? What's going on? Chris: Well, it has been a remarkable run for the S&P 500. It's even more remarkable because it's occurred on such low volume. I think the recent high of 2,000 that the S&P, it's since pulled back a little bit, occurred on the lowest-volume day of the year. Usually volume is important because it indicates strong support for these stock prices and a lot of more bullishness to come. Yet this has been the case for the long time, so it has a sort of eerie quality. But really, the S&P is up about 8.06 percent for the year. The Dow is up a little over 3 percent for the year. These highs have been much more incremental and much slower to come than they have in the past. Yet of course for various reasons, the financial press will still celebrate them. Ricky: Another question our clients have has to do with treasury rates and interest rates in general. How low can interest rates go from here? Chris: We've really benefited this year, unlike last year where interest rates spiked. It is important to note where we are in this cycle of credit expansion, and credit's the big boat. The total credit market in the US is over $70 trillion. The stock market's about 20 trillion, so we really look first to the credit markets to determine or give us an idea of what's happening in the economy. This has been a very long period of credit expansion, giving way to what we believe is the credit contractionary phase. In each previous phase, interest rates on the long treasury bond have gotten to 2 percent or lower, and this is back in the 1870s, 1900, 1921, and even to the mid-'30s and 1946, where interest rates bottomed at 2.06 percent. If we look across to Germany today we see that their 30-year bond is at 1.76 percent. That's not out of the question. Our rates have been very closely correlated to German bonds, which are also considered very strong credits. Ricky: On the contrary, a lot of clients have also been asking and expecting interest rates to go up. We've been hearing that the Fed is hinting at interest rate hikes. Is that possible? Do we agree with that? Why aren't we nervous about that scenario? Chris: If the Fed really wanted to raise interest rates, they would just do it. I believe for very many reasons, and some of them are quite technical, and clients can call and ask and I'm happy to share my ideas with them. But I don't think the Fed can raise interest rates. If they did, my god, they'd have to turn around in very short order and lower rates again. The economy cannot withstand higher rates. We saw that. The spike last summer created reverberations around the world in emerging markets and turmoil, and now rates of course are collapsing once again. Ricky: Another long-term position that we've held for over a decade now is gold. We've seen that gold has struggled to perform over the last 24 months. It seems like it's improving, but what's our expectations for gold moving forward? Chris: Gold's always a hedge. It's a monetary asset in our minds, a substitute for cash, and when you think about it it's the strongest form. The central banks around the world have been working hard to depreciate the currencies. There's a competitive devaluation that's been occurring for many, many years now, and against what would these currencies fall in value? Against the traditional monetary assets like gold and silver. Now it's not a straight-line path. The path can be bumpy, and we felt that, and there's been some consolidation. But the central banks are not changing their stripes. They continue to depreciate currencies, and we feel that in the long run that's going to be very beneficial for gold. Ricky: We're finding new opportunities. We've added some new positions over the last couple of months in the portfolios. What are those positions, why have we added them to the portfolio now, and what are some other opportunities that we see coming up? Chris: We've been on a real search for value, and sometimes value's found in the most difficult of places, like Russia. Russian equities are trading for the most part at very, very deep discounts. Some of that discount's deserved, but we think it's overdone. Like when we purchased British Petroleum for many of our clients, for those whom it fit, back when the headlines were very bad and they had the Gulf oil spill. Looking for those kinds of opportunities where bad news or unpopularity creates a value opportunity is one space. Looking at old economy-type things, things that rust, pipelines which produce income as well as being deeply undervalued in our minds is another place where we've been able to find value. Now we're seeing some opportunities in restructuring European debt. Since the European banking system is still highly leveraged, the banks there aren't lending, and there are opportunities to help very fine European companies restructure their debt. Ricky: One of the newest allocations to our portfolios this year has been in the alternative space, and so we've started to allocate some more capital in some different alternatives this year. Some of them are very similar to what's been happening in the capital markets in the sense that they're providing us with a nice dividend yield, they're providing us with income, and we do expect some capital appreciation. But what are some of these alternatives that we've been adding and why do we think that they're a good option for us now? Chris: For many reasons, like the ones we've outlined earlier. We're a bit suspicious of the level of the stock market, and again, buying at all-time highs doesn't seem to make any sense. If your goal is to buy high and sell low, then it makes sense, but otherwise, that's not our goal. But giving our clients a chance to diversify away from traditional capital markets. To get income in this environment that's very healthy where traditional sources of income have dried up or are yielding very minimal results. Again, stabilizing the portfolio and creating less volatility for our clients, especially those that are at or near retirement, and those who need more income has been critically important. So we continue to look for those kinds of opportunities, and again, many of those are things like real estate investment trusts or business development companies that are stepping in and lending where the banks won't. Finding those kinds of opportunities, again, gives us the diversification and stability in client portfolios that we need. Ricky: Finally, between now, the end of August, through the end of the year, what are some things that clients should be paying attention to economically? Chris: It's critically important that the economy show stronger signs of growth to support these higher stock valuations. The multiple expansion that we talked about earlier where stock prices have risen but earnings haven't kept up can't continue forever. In other words, as stock prices are at this higher plateau, we have to see economic improvement, we have to see earnings and that income improve, so ultimately it supports these stock prices. If we don't get that follow-through on growth which we've been waiting for and waiting for and waiting for, it sets stocks up for a big fall potentially, at least some form of correction. If that correction happens, again, it'll also shake loose some opportunities for us. Ricky: Well there you have it. Thank you very much, Chris, for answering some of our client questions this month, and we encourage all of you to continue sending your questions. You can send it to us via email, or the next time you stop by the office feel free to write down some of the questions you feel are important to you so we can address them in our monthly update. Ricky Biel: Where does money come from? Child 3: No, horsies needs money. Ricky: Horsies, money comes from horsies? What's your biggest investment? Child 2: What does that mean? Child 4: I don't know what the word investment means. Ricky: What would you do if you had a million dollars? Child 4: Buy things for my pets. Child 5: I would use it to buy a big house. Ricky: You would buy a house too? What would you do if you had a million dollars? Man: Save it in my 401k. Child 1: I don't know. Child 2: No, I don't know. Ricky: Do you have a 401k? Child 2: No. I don't think so. Ricky: You don't think so? Kimmy, do you know what a 401k is? Child 1: Uh-uh. It seems like a math term, I don't know. Ricky: It is a retirement plan. I want to thank you for watching this 401k video, and I want to thank all the children who participated in it. We here at Haydel Biel & Associates know that your 401k is one if your biggest, if not the biggest investment you'll ever make in your entire life, and so saving into your 401k is critically important. We also know that choosing the right investments within your 401k plan plays a very critical role in making sure that you can reach and achieve your goals and dreams. We invite you to go online and subscribe to the HCM 401k optimizer. We're offering you one year complimentary, free of charge. Make sure you enter the special code 401k2937, and as always, we're here to help, so feel free to visit our website or give us a call at 626-529-8347. Ricky Biel: So, where do we start? We start with values based financial planning. The art of creating an inspiring financial strategy. This process begins with a question. The question is, "What's important about money to you?" It's different for everyone. You may be thinking security, financial freedom, retirement, college education planning. Each of us have our own set of priorities. Our job is to help make smart financial choices based on your values for the reasons that are important to you. We do this by using a five step process. The first step is, number one, identifying your values. Two, set your goals. Three, we benchmark your current financial reality. Four, we create a financial roadmap. And five, we educate you, motivate you, and participate with you in implementing your financial plan to make sure you stay accountable, focused, and on track to reaching your goals for the reasons that are most important to you.